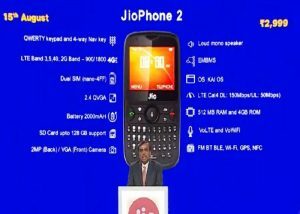 Reliance Jio announced JioPhone 2 during its Annual General Meeting in Mumbai on July 2018. JioPhone 2 is a newer and higher-end variant of the popular smart feature phone and the device priced at rupees 2999. 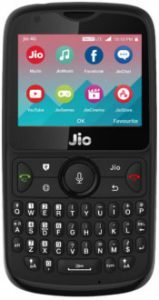 The company also introduced a new Jio Monsoon offer under which customers can replace their older JioPhone for the new JioPhone 2 at an exchange price of rupees 500. JioPhone 2 comes with a new design language and some new features. Here’s a detailed list of Reliance JioPhone 2 Specification. The new Jio smart feature phone will be available in India starting August 15.